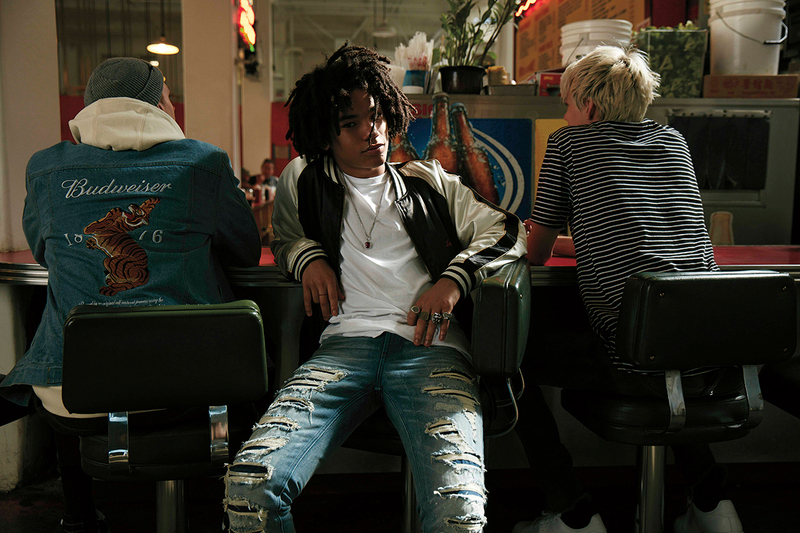 Gone are the days where PacSun is known only as the cool hangout for teen mall rats. Their game is changing, in part because their customer has. 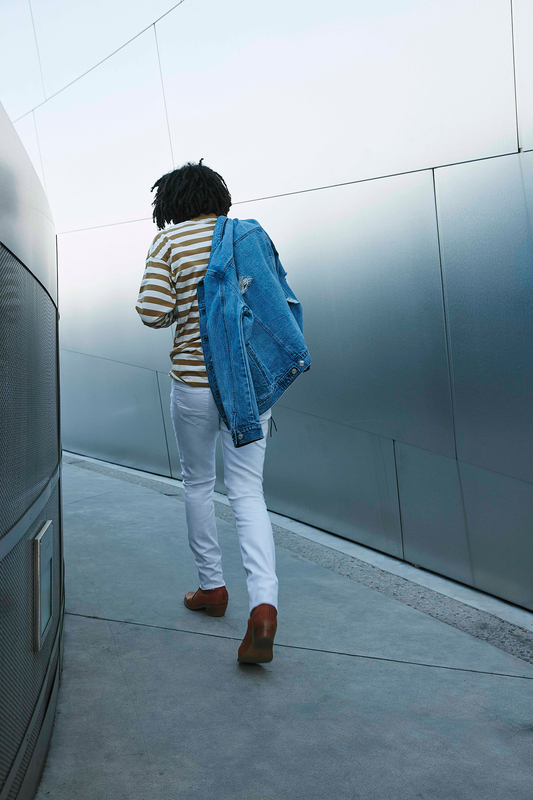 By serving up JNCO jeans in the 90’s to leaning more Blue Crush and boardshorts in the early ’00‘s, the surf/skate inspired retailer has consistently evolved with the trends. 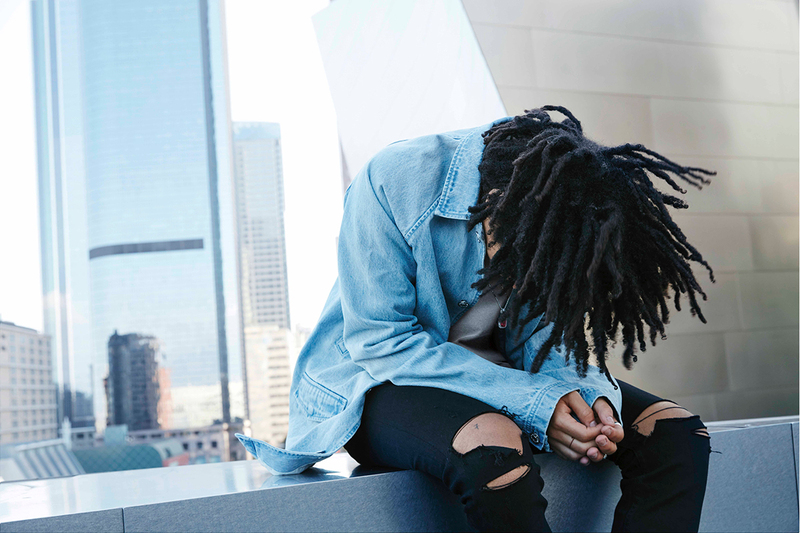 Now, with the recent re-launch of their own line of denim, they are setting out to define them. 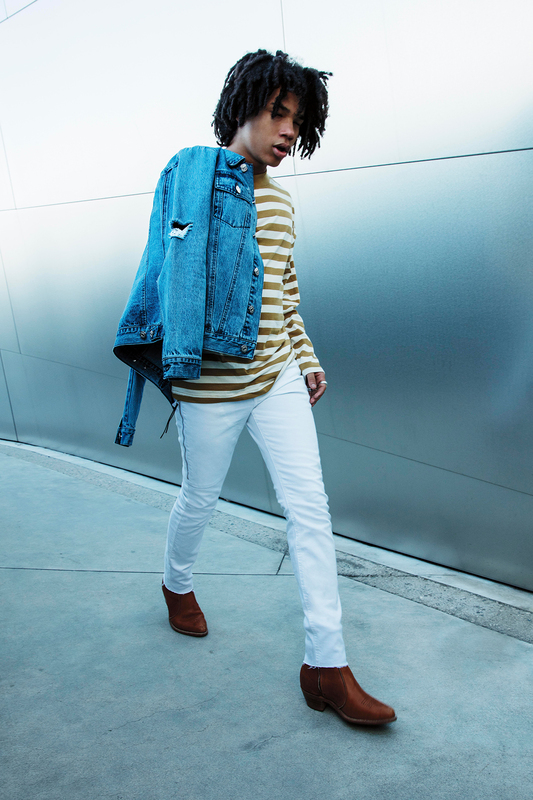 This is a look for the Post-Millenials, kids who have morphed their earliest cultural references (Jerry Seinfeld, late 90’s hip hop and CK One) into a fashion movement that is a colorful hodgepodge of androgyny, pop art and oversized proportions. 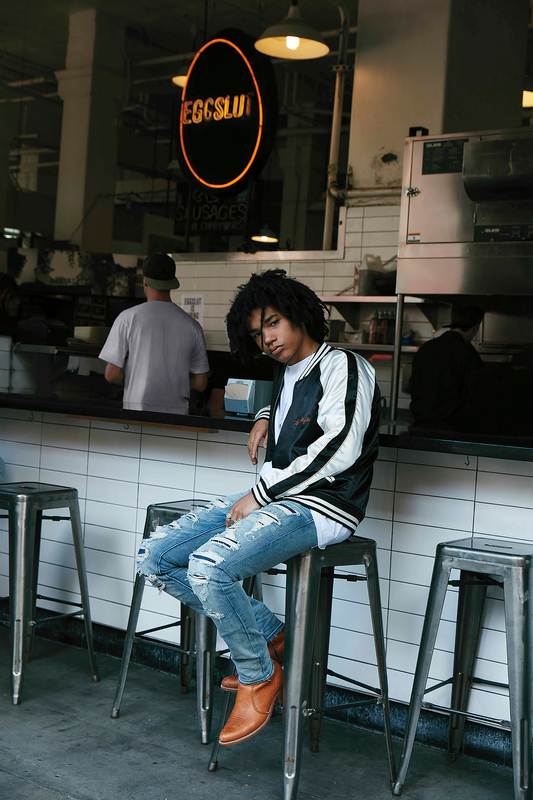 PacSun’s range of bottoms hits on all the cool-factor criteria- ripped knees, high waists and a faded wash, but the real standouts are the jackets. 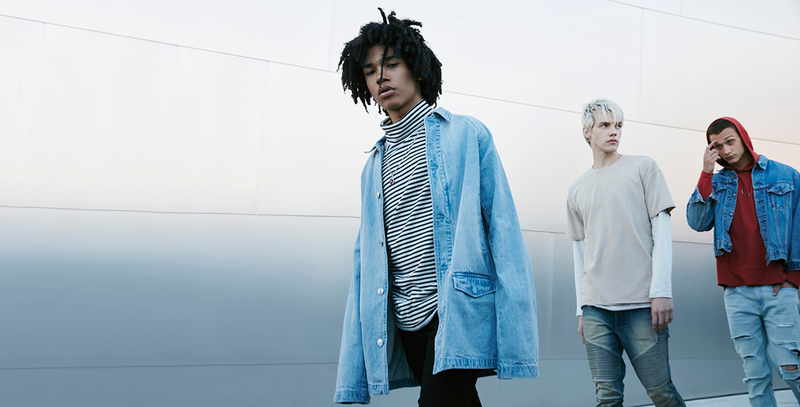 One in particular, resembling a baggy men’s work shirt and shown both as a dress and light outerwear, hits this generation’s unisex styling right on the nose. 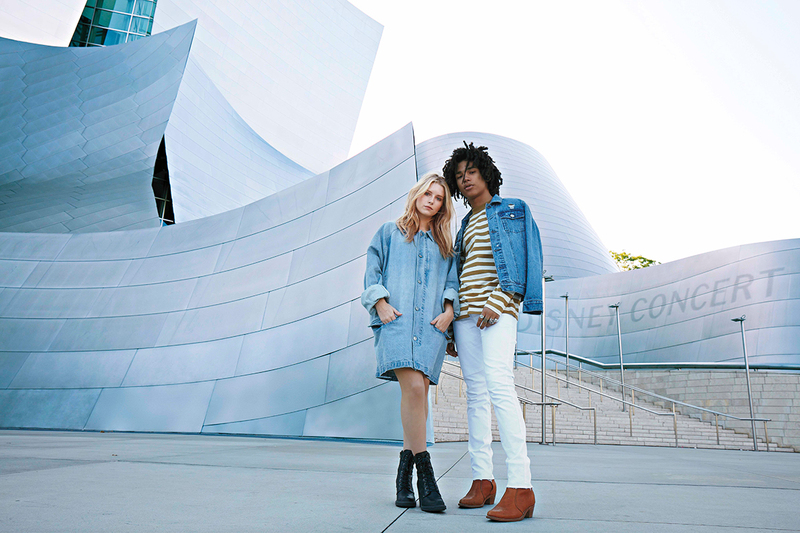 The campaign shot by Harper Smith follows trendsetters Luka Sabbat and Lottie Moss on a tour through DTLA. Together with their gang of friends, they restfully pose like a vintage Calvin ad, depicting an ease and boredom achieved best with the freedom of youth. 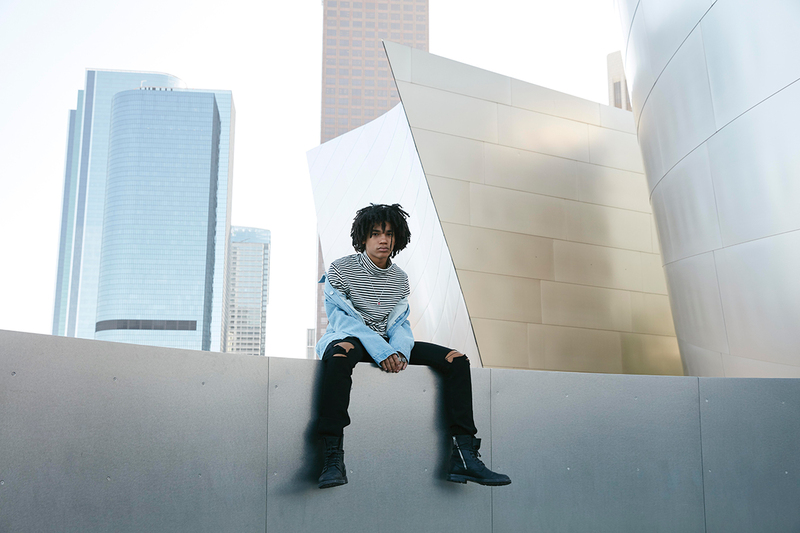 Kinda like those after-school hours when you’d hit the mall with tons of time to kill… No one knows them better than PacSun.